The Cruise is at the South-East side of CDA Resort Hotel. See the map above. Note: Please DO NOT miss 6PM departure time. The ticket is non-refundable. The weatherman says it will be sunny on the Cruise day. But it will get cold on the deck in the evening, so bring extra jackets. If you bring small children, it’s your responsibility to watch them closely especially when they are on the upper deck. No drink (pop or water bottle) or meal (sandwich or carryout meal) allowed on the Cruise. The Cruise provides free water in the jar and the tea is $2/cup. 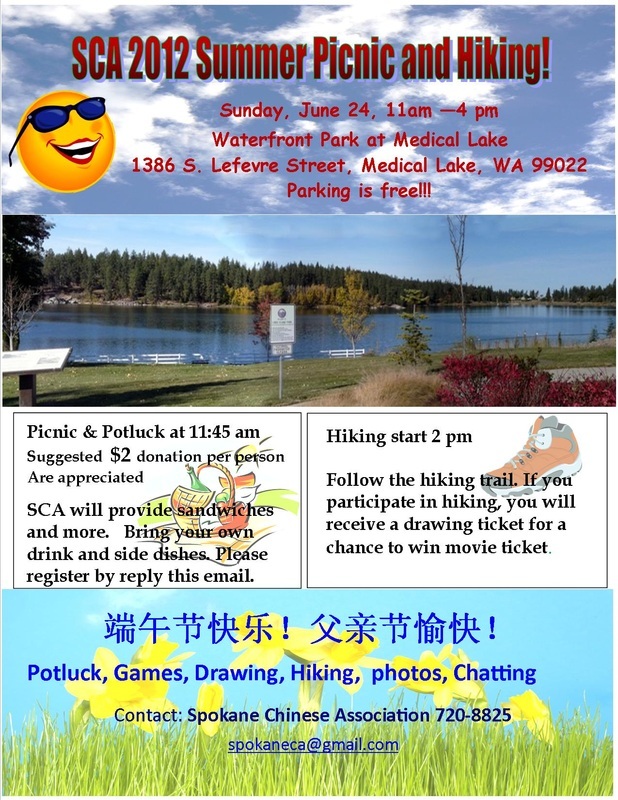 SCA will provide moon cakes, cakes (or other dessert) and snacks for free. Suggested $2 donation per person are appreciated! SCA will provid sandwiches and more! Bring your own drink and side dishes. Hiking will start at 2PM. Follow the hiking trail. If you participate in hiking, you will receive a drawing ticket for a chance to win movie tickets. 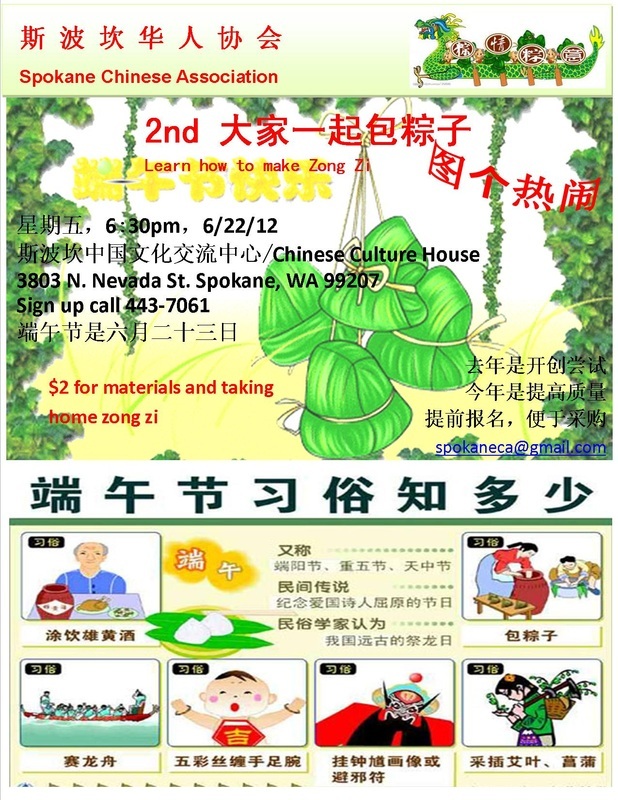 $2 for materials and taking home Zong Zi!